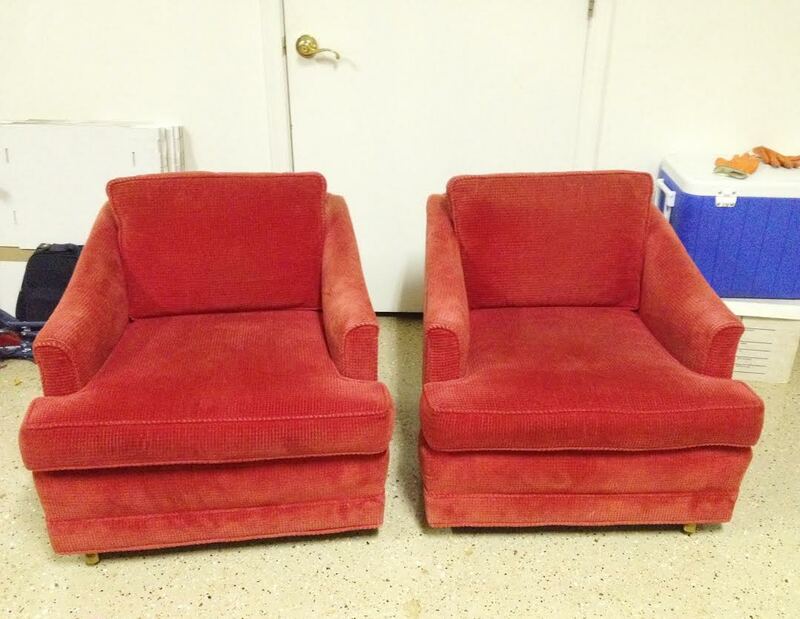 A few days before we moved to Seattle, I found these chairs on Craigslist. They were $50 and I loved the shape! So, I drove down to old Scottsdale and bought them from an 85-year-old lady. They are soooooo soft and comfortable but the fabric was really shabby (and the red wasn't working for me anyway), plus they sat really low since they were on casters... but I could see the potential! They are good quality, great shape and a good deal so they were worth the cost to have them reupholstered! I had the same guy who reupholstered my sofa do these as well and I picked them up literally 15 minutes before David drove away with the moving truck. It was a close call but I love them! I had them reupholstered in the same microvelvet as my sofa but it's the prettiest spa blue instead of gray. I wish the pictures showed the true color, but you'll just have to take my word for it. Pretty, right? Wow just wow!! I wish i had your imagination and talent. Turned out fantastic! I love them. I have 2 old chairs in my room that need to be reupholstered. I need to find someone in Boston that does that. In loooooove!! Fan of the color the shape the legs! Bravo!! These chairs are beautiful! I love that you put new legs on them. I'm curious; how much does upholstery cost? I've been eying a sofa at a local furniture place that's around $1500, but my current sofa is actually fine if I could just change the fabric. Great find with those chairs.